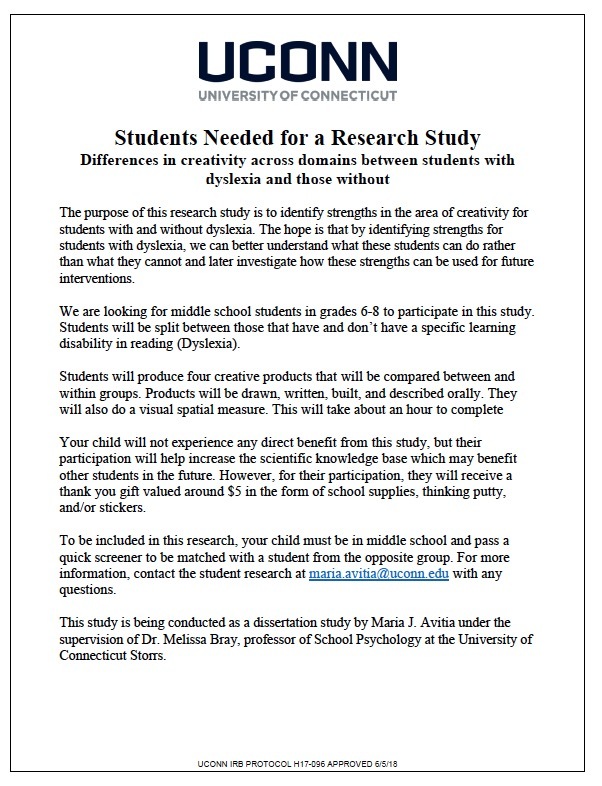 Please contact the Dyslexic Advantage Team (team “at” dyslexicadvantage.org) if you would like to post your research opportunity. To see more detailed flyers, view below most recent listings. If any of the studies below are closed, please let us know. Thank you! 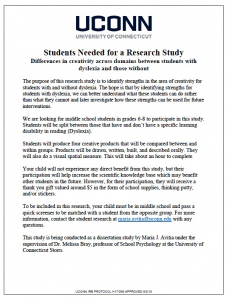 The University of Connecticut is looking for research subjects to participate in a study of dyslexia and creativity. Contact Maria!